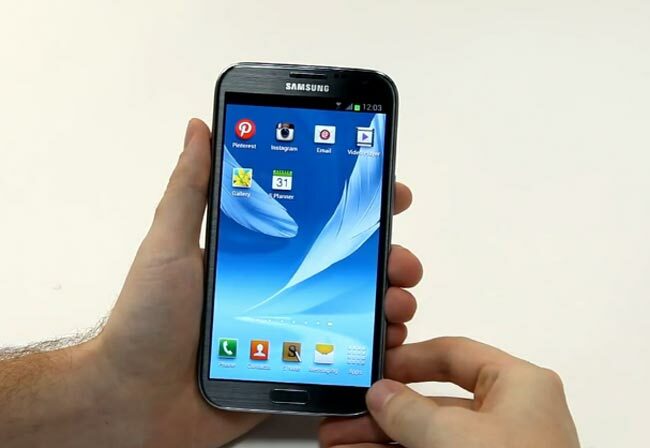 T-Mobile recently announced that they would be offering the new Galaxy Note II smartphone on their network from the 24th of October, this is the same day that Samsung are holding their US launch event for the Galaxy Note II. When the handset was announced for T-Mobile no pricing details were available, but now it would appear that the Galaxy Note II will retail for $299 on T-Mobile, the prices were leaked from Walmart and obtained by TMO News. We presume this is the price for the Galaxy Note II when you sign up to a new two year contract with the carrier, we should have confirmation on this next week when the handset is launched. The Samsung Galaxy Note II features a 5.5 inch HD Super AMOLED touchscreen display with a resolution of 1280 x 720 pixels, there is also a quad core 1.6GHz processor and the latest version of Google’s Android OS, Android 4.1 Jelly Bean, plus a 3,100 mAh WiFi, and the device comes with Samsung’s S-Pen stylus and software.